We are FUN! We are SAFE! We fight those mean Cavities! Looking for a safe and non-traumatizing way to treat your child's cavities? 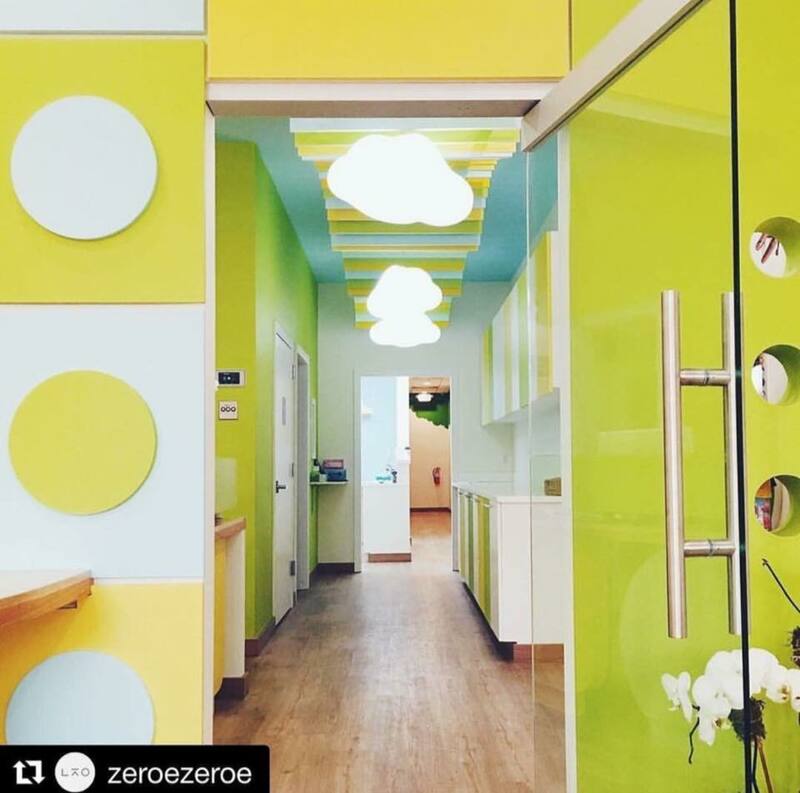 As you walk into our office, you will see a bright, well-lit welcoming area which is decorated and functions as a children's playroom. There are lots of books, toys, and a 20 inch tablet. Parents can enjoy free coffee or tea and watch TV, while children play and enjoy their visit. At Dear Tooth Fairy in Jersey City, we are all about positive re-enforcement. We believe that every step leading to completion of a treatment deserves a reward! We have stickers, gold tokens for the toy tower, and many other fun rewards for everyone! Many children love to write their names on sticky leaves to decorate our "No Cavity Club" tree. We recently installed a portable photo booth for more enjoyable experience at dental visits. Many of these photos are shared on our Facebook and Instagram @deartoothfariyJC. We understand that parents/guardians may also experience some degree of anxiety, especially when your child is getting their first cleaning or filling done! We invite parents/guardians into the treatment room, so you can watch and experience what goes on in the treatment room. We work together as a team (or if you choose to, you can always finish that cup of coffee in the reception). However, we do request that the parent in the room be a "silent observer" so the child can listen to Dr. Kim. "Tell-Show-Do" is a behavioral management technique that is often employed by pediatric dentists to reduce patient anxiety and to make the visit fun. Please watch how Dr. Kim applies this technique like a magic! We also have TVs on the ceiling, as part of a "distraction" technique, which is also a part of established behavioral management technique. Safety of your child is the TOP priority at our office. We follow strict rules and regulations to maintain our office clean and safe for our patients and staff. If you have questions, please do not hesitate to call us and come in for a tour! As a specialist in pediatric dentistry, Dr. Kim completed a two year program in pediatric dentistry where she learned about child psychology and how to safely apply these techniques in treating pediatric dental patients. Dr. Min Jin Kim is a board certified pediatric dentist. Behavior guidance technique includes such techniques as pre-visit imagery, "Tell-Show-Do", distraction, positive re-enforcement, and many more. For those patients that have extreme situational anxiety/fear, medical condition, and/or extensive decay and treatment needs, Dr. Kim works with a wonderful dental anesthesiologist in office. Dr. Kim is also an attending at Jersey City Medical Center and can perform dental surgery at JCMC. To learn more, click here. We are IN-network with many of PPO insurance plans. We do not accept Medicaid. We offer evening and Saturday hours for those working parents.